Premium quality organic Fairtrade roast and ground coffee. 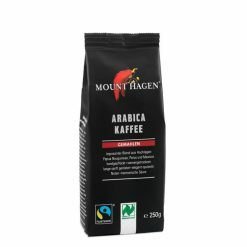 This organic fine ground coffee is made of 100% pure organic highland coffee beans. Gentle roasting refines the natural mild aroma of this coffee.